The invasion of Poland is seen as one of the most significant events of World War 2. Not only did this event signify the beginning of the World War 2 but it also started the most significant war in Modern history. It began before Dawn on the 1st September as the German air force flew over Poland. Known as the Luftwaffe. They began a heavy bombardment across Poland with the main focus been strategic points of the county. It was just the beginning of what could be expected of the Blitzkrieg tactics made famous and used tactfully by the Nazi army throughout the war. The Polish army were unprepared for these attacks and the army was divided into seven separate groups along its borders. With little else available the German army attacked Poland’s western frontier as well as striking south from Pomerania and East Prussia.The scale of the attack from the Luftwaffe was severe and deadly to Poland. Within just two days the German air military had gained a stronghold of the air and controlled that space. The Polish defence was subsequently shattered and the groups were broken further. The German army had a clear plan which involved a double pincer movement. The inner pincer targeted locations close to Warsaw whereas the Outer Pincer met at River Bug at Brest Litovsk some 100 miles East of the Polish capital.This movement and outer encirclement was completed on 14th September. Things continued to escalate and ultimately the fate of Warsaw and Poland was sealed three days later when the Red Army invaded from the East. It wasn’t until the 27th of September that Warsaw unwillingly surrendered to the Nazi army followed by Modlin commonly known as the fortress city. The Polish resistance continued until the 5th October where again they were overcome by the sheer force of the Nazi army in Kock; south east of Warsaw. The invasion of Poland had a huge impact on the country as well as it’s people. Families lost loved ones, individuals were separated and the whole country was now taken over by Hitler and the Nazi regime. Casualties were severe with over 66,000 Polish dead as part of the conflict with 200,000 wounded. Another telling figure from this attack was the amount of prisoners taken by the Nazi regime. It’s estimated that nearly 700,000 were taken as prisoners of war as a result of the invasion. 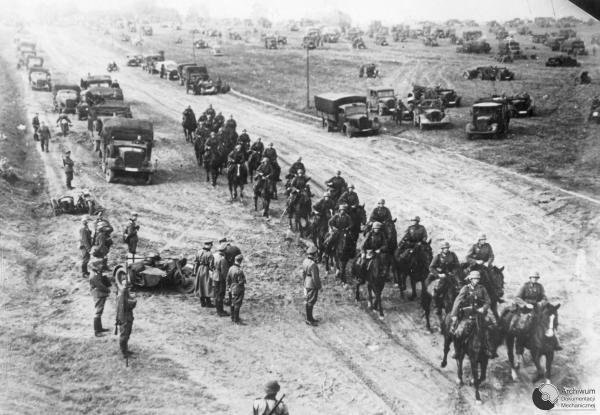 On the other hand the German casualties were extremely small in relation to those of the Polish. It’s estimated just 10,500 died in the conflict with 30,000 wounded. This was seen as a victory for the German army however globally recognised as a huge tragedy and one of the many poignant moments of the second world war. Below is a key timeline which shows the steps and dates leading up to the beginning of the war. 23rd August: Britain warns Germany that they will honour and fulfil their agreement to protect Poland if they are attacked. 31st August: Hitler demands and orders the attack on Poland from the Nazi army. 2nd September: Allies of Poland in the shape of France and Britain issue final ultimatum to Nazi Germany. 3rd September: War is declared on Germany as they fail to comply with the ultimatum.